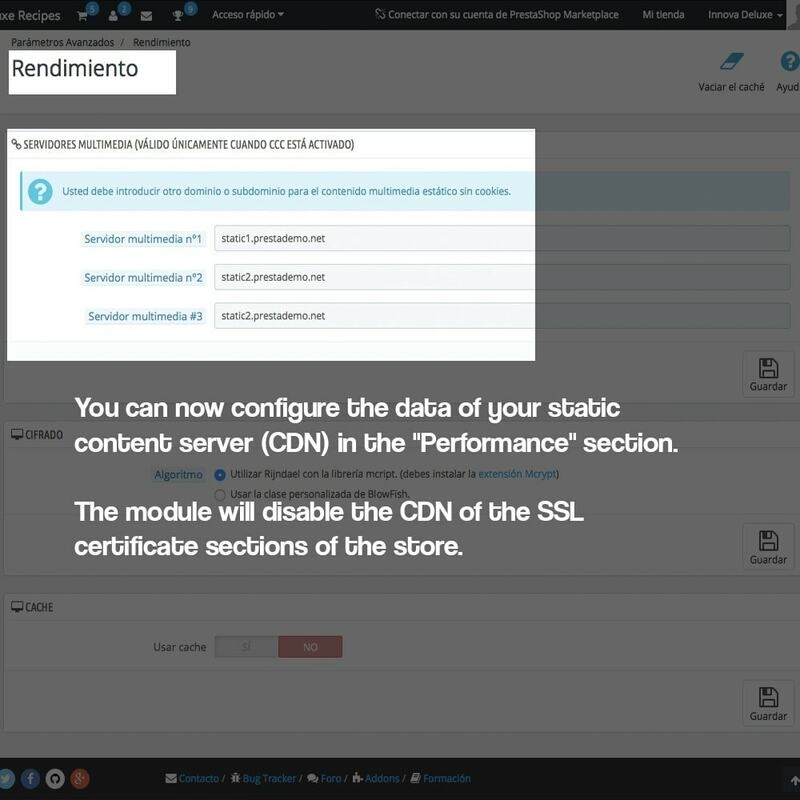 With this module we solve the problem between the configuration of CDN static media zones and the configuration of pages with SSL security certificate. 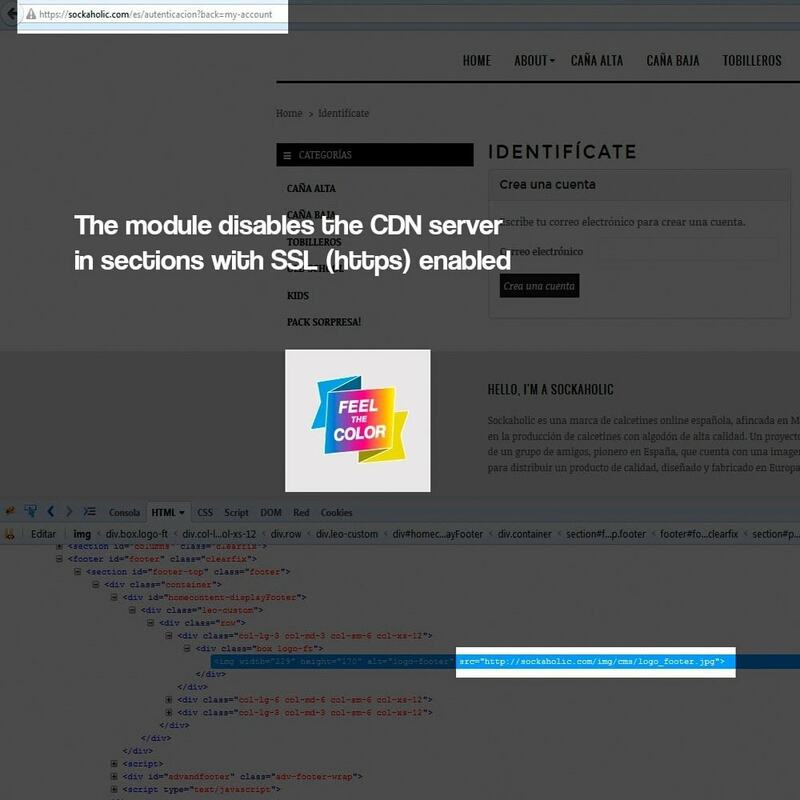 Between CDN and SSL certificate there is often an incompatibility if the security certificate is not multi-domain, multi-subdomain or several different SSL for each domain or subdomain. With this module you can deactivate the CDN in the important sections like the purchase process and the registration and contact forms, keeping the CDN in the other pages of the store. 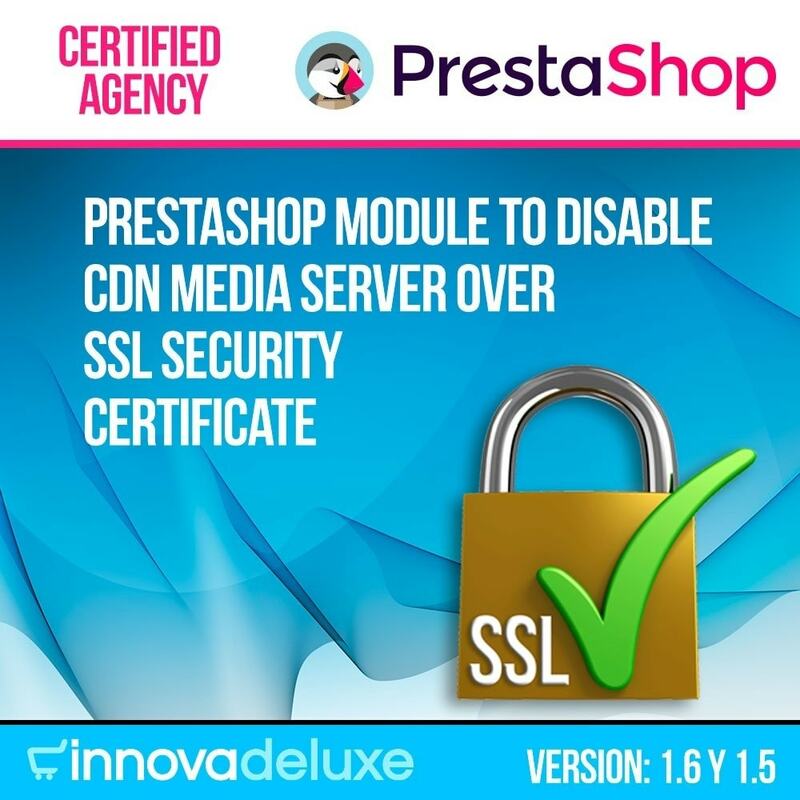 With this module and a suitable configuration in the Prestashop backoffice for the SSL security certificate, you will have the store working properly with CDN and SSL. Prestashop offers the possibility to include media servers for static content in our store. What does it mean? If you need some help to configure this feature in your server and your Prestashop store, please contact us here. Prestashop offers the possiblity to use SSL certificates. But, What happens if we activate the static zones? 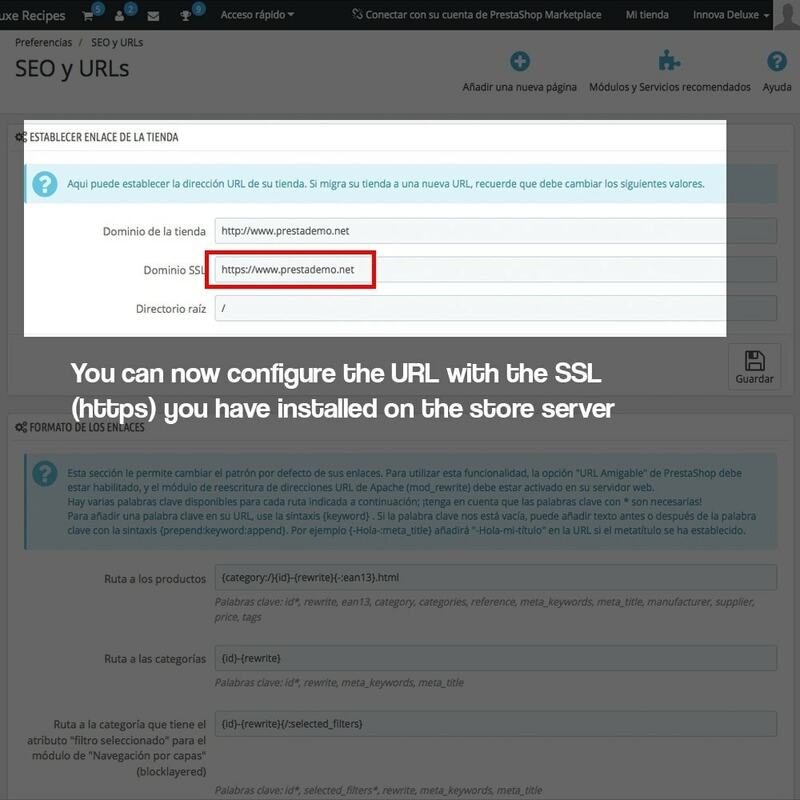 You have improved the security and the performance in your store, but you can't use both improvements together. You purchased your certificate, but static content will not load using https and browsers will advice your customers of this, redunding in a bad experience for them. This is not the image you want to offer to your customers. 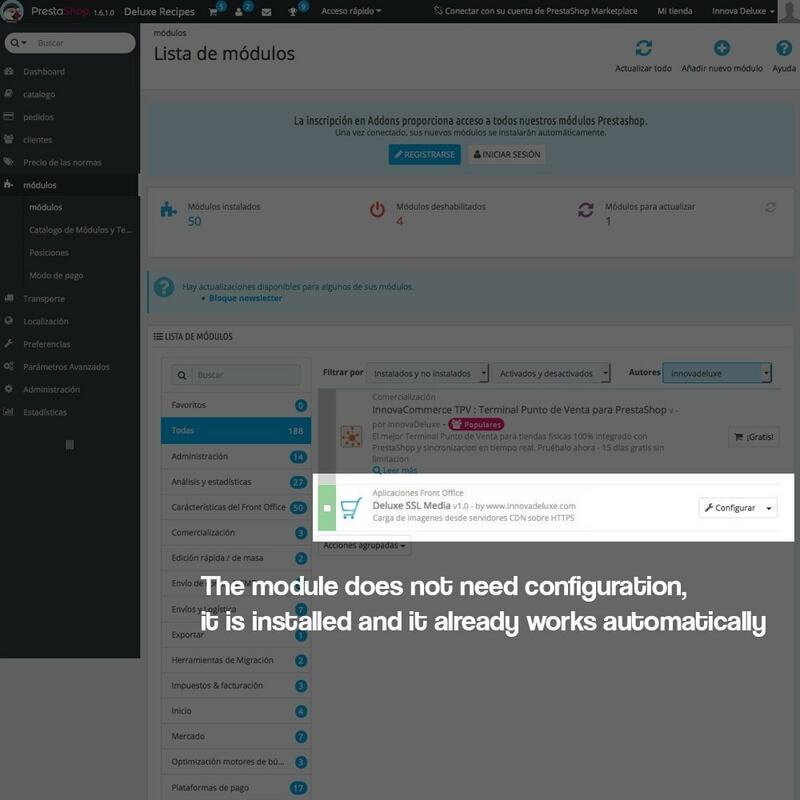 Use our module. It will make https zones not to use static content (like it's supposed to be) fixing erros and browsers alerts. You'll be able to use SSL in the secure zones, and your static content (like images) will be shown without problems. The customer will be able to visit your store and navigate through it in a fluid way thanks to all the static content of the store will be downloaded from various locations thanks to the CDN static content server and you can also have full warranty thanks to the SSL security certificate that will be available In the entire purchase process and that protects all communications in the contact and registration forms. Does exactly what it says it does, does it well and right away. Highly recommended.